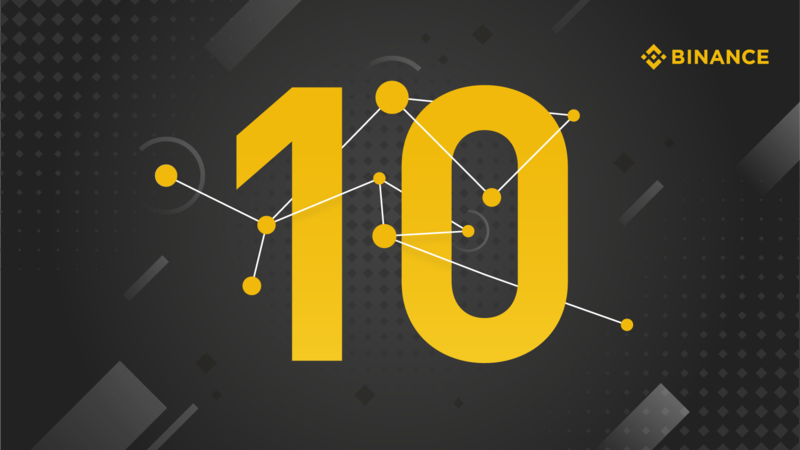 Binance Coin (BNB) recently reached top 10 on the cryptocurrency list, according to CoinMarketCap as of February 7, 2019. 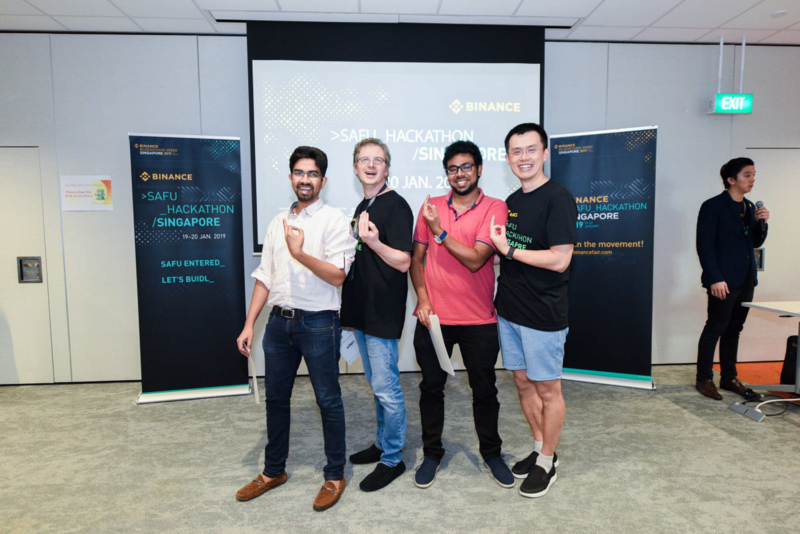 At Binance, we are honored to receive your continued trust and support, and we dedicate this achievement to all our Binancians for believing in our shared growth path. Since Binance launched less than two years ago, we have continued to improve on our core service to the community, launching diverse divisions that carry out our shared mission to provide more freedom of money. We believe that the avenues of growth that each division brings have contributed to where we are now. Of course, it also helps that Binance Coin just keeps on growing its list of use cases that go beyond trading. 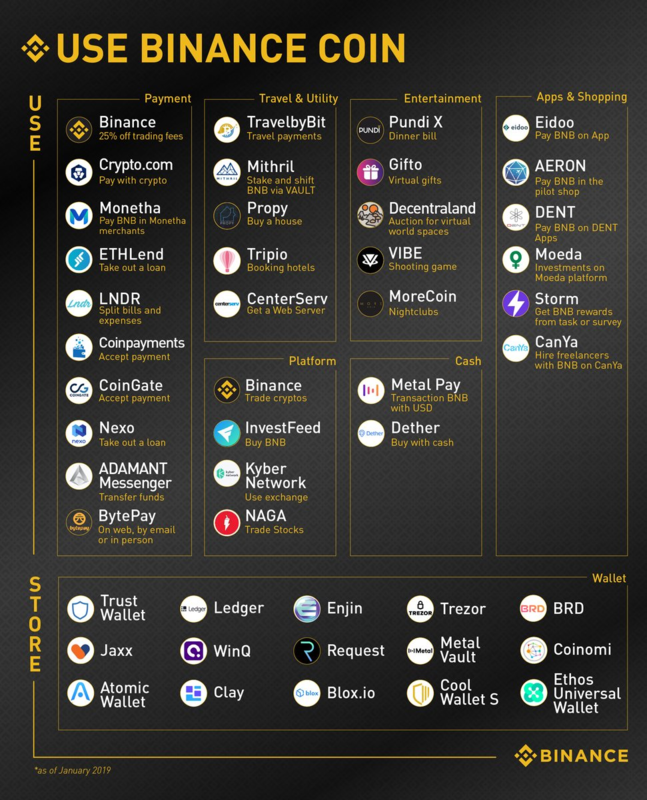 We hope you can explore these different use cases of Binance Coin, as we continue to optimize the benefits and uses of your BNB. We owe the head-start to our main exchange offering. We’ve strived to provide the best possible crypto exchange service available on the market to help encourage trading and investing, come bull or bear, so that millions of Binancians and the community. We’ve even started rolling out features that allow more of the general public to take part in crypto trading, such as our new feature that allows users to buy cryptocurrency with credit cards. Trade from the convenience of your mobile phone. Download the Binance app now! Over the past few months, we developed plans to help launch additional ways for people to benefit from crypto and learn more about the blockchain. We believe that crypto adoption will hasten when people are given more fiat options. With current and upcoming fiat exchanges such as Binance Uganda, Binance Jersey and Binance Singapore, we are reaching out to the world and widening our user base. Spreading freedom of money takes a wide-reaching approach, including avenues from both retail traders and bigger institutions. We also rolled out multiple innovations, such as sub-account features and over-the-counter (OTC) trading desks that allow corporate accounts to trade faster and more conveniently to further fuel growth in the global blockchain ecosystem. 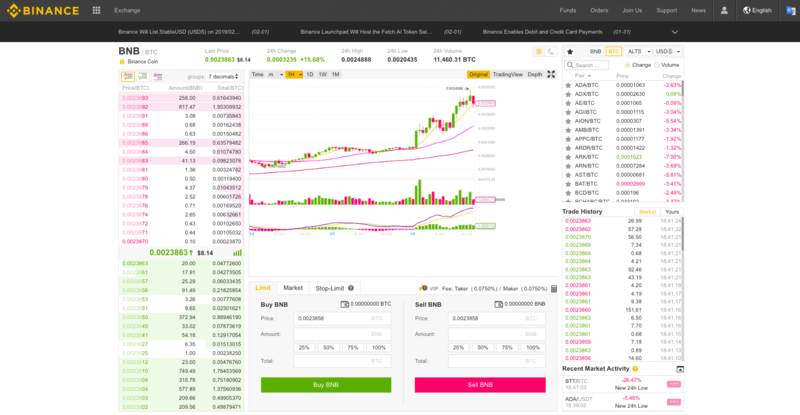 Binance is also rooting for the growth of the blockchain industry through several avenues, including our token sale platform Binance Launchpad. We hope to drive industry growth by providing exclusive opportunities for our users and blockchain constituents to take part in compelling and vetted blockchain projects while driving more token activity and overall confidence to the market. We understand that not all blockchain projects are suited for public backing. This is where Binance Labs comes in, as our investment arm willing to bet on high-potential blockchain projects with BUIDL mindsets through incubation programs and fellowships. We have a stake in seeing the blockchain world grow, and we shall benefit from thriving projects our of Labs, alongside the greater ecosystem. 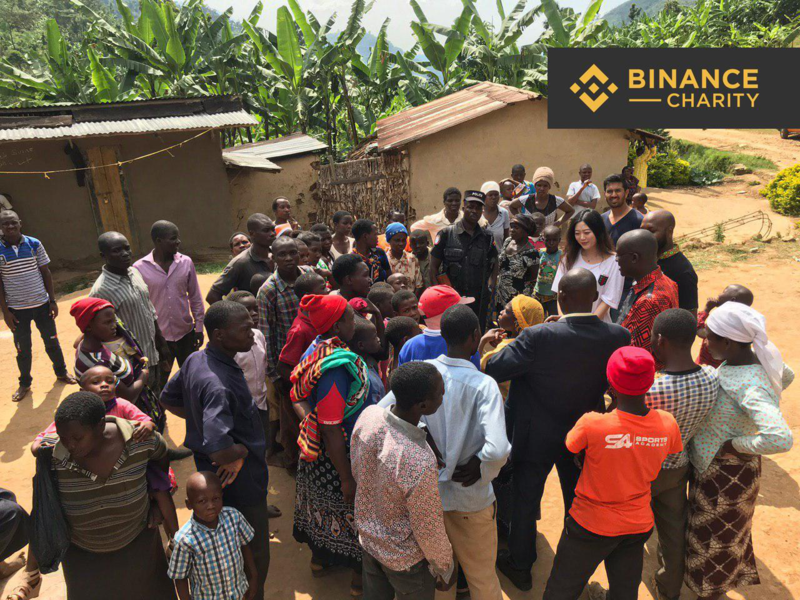 At Binance, we recognize that the best investments empower disadvantaged people to grow beyond their hardships. Binance Charity takes advantage of blockchain technology and creates a transparent donation platform. It brings together the blockchain projects and individuals to make a sustainable impact. One unique action it does is to introduce more people to blockchain and its uses -- a long-term play for a wider blockchain user base. We also aim to fuel user growth in blockchain by making it easy for more people to learn about it, in as many languages as possible. At Binance Academy, we roll out various multi-language lessons and content pieces that help people know more about blockchain and, in turn, participate in growing the ecosystem, whether through trading in Binance or developing new technologies we can all support. We want to help make all Binancians more informed in terms of trading and knowing the various cryptocurrencies out there. With Binance Info, we strive to put all that’s important to know about different tokens under one roof, from price movements to research materials and many things in between. For us, a more confident and informed trader is a more valuable contributor to the ecosystem. Rounding up our education triumvirate is our research division, which adds value to our ecosystem by providing an in-depth look into some blockchain projects and industry trends. With several reports being lined up, we aim to be a reliable voice of reason when it comes to the blockchain industry, strengthening our trustworthiness in the community. One way to spread freedom of money is to empower individuals to use and store them securely through the Trust Wallet app. 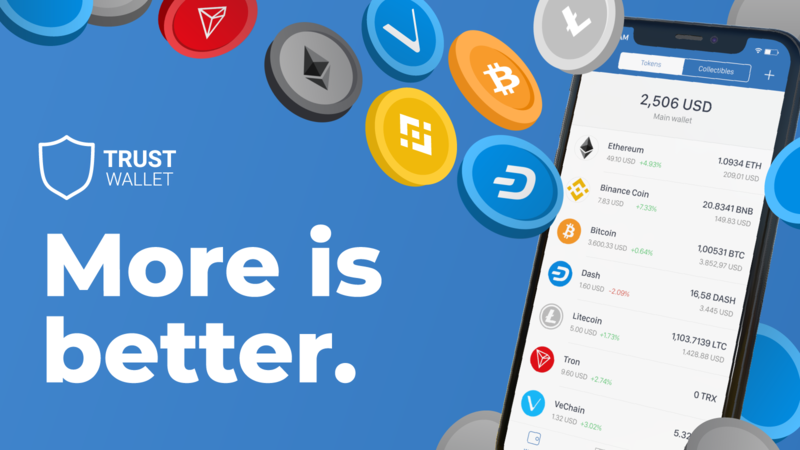 Fresh from a rebranding that heralded its evolution from an Ethereum wallet into a multi-coin wallet, Trust Wallet’s easy-to-use interface opens up opportunities for people to get more out of their crypto. Download the Trust Wallet now. We are always creating more ways to generate value for our Binancians. With the upcoming Binance Chain, we continue to BUIDL and develop the next frontiers for blockchain. Binance CEO Changpeng “CZ” Zhao recently announced that the Binance Chain testnet has been released to our partners. The testnet, available semi-publicly, includes features support from our own Trust Wallet as well as Ledger, among many others. 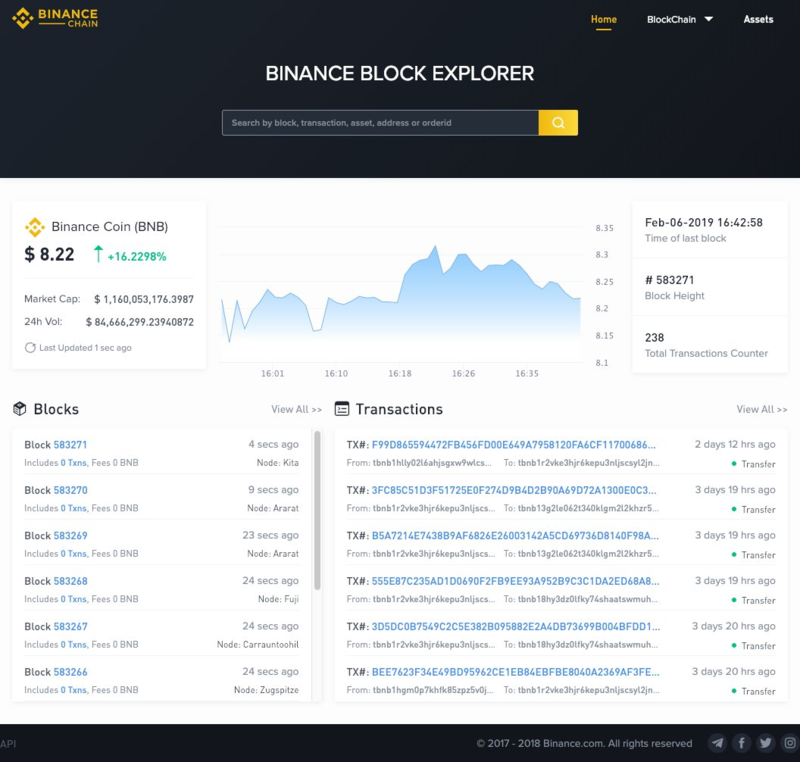 This is a major step towards the eventual launch of Binance Chain, including the upcoming Binance DEX. For more details about Binance Chain, heat CZ’s answers to some questions about the upcoming platform on this live interview on our Twitter page. Transcripts will be provided soon. All of Binance’s divisions emerged from our relentless quest to provide more value to stakeholders of the Binance ecosystem. Even with several avenues of growth currently in place, we can’t tell how the future of blockchain and value will unfold. That’s because, to paraphrase Abraham Lincoln, the best way to predict the future of blockchain is to BUIDL it. Follow Binance DEX on Twitter for upcoming updates on our upcoming decentralized exchange.